Apple has asked Muhammad to send his phone, so that they can check that phone. 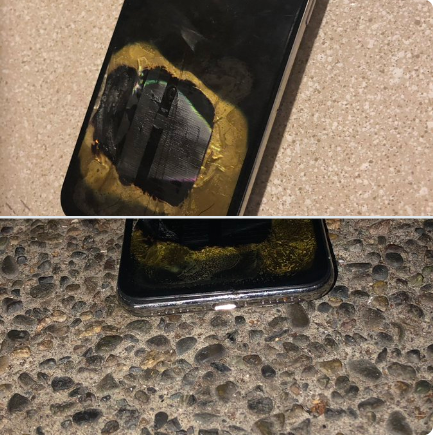 Immediately after exploded phone, According to the 9to5 Mac report, a Twitter user named Rocky Muhammad Ali told the world by tweeting the incident and the photo of that phone. This happened when that young man was updating his apple phone to next iOS version 12.1. 'iPhone X, 12.1 got hot after upgrading to new iOS version and exploded after some time. After that muhammad tag apple, Tagging apple is not wasted After some time Apple responded to Muhammad's tweet saying, 'This is not a common thing, DM us and we will help you. In the conversation with Gadgets 360, Mohammed Ali said that he was upgrading his phone and there was no obstruction in it so that the phone was charging. Mohammed Ali had bought this phone in January and was charging the phone with the charger coming with the phone. 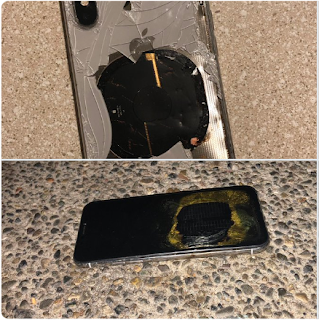 They told Gadgets 360 that the phone got exploded after being removed from charging.